#AskAlan: At what event will Sergio Garcia get the most brutal reception this year? Every week, GOLF senior writer Alan Shipnuck fields questions from the masses about hot topics in the golf world. This week, Shipnuck investigates Phil Mickelson’s resurgence, Tiger Woods’s prospects for 2019, at which tournament Sergio Garcia will get the most brutal reception, and much more. Man, from all the citizen-journalist video I’ve seen on Twitter, Tiger has been swinging so well in the practice rounds at Riv. But Phil already has a first and a second, which is a substantial head start. Of course, the majors will define 2019 for both of these aging warriors. Woods made two strong runs last year, while Phil never factored. It’s pretty much a toss-up, but I’m thinking Tiger will be a more consistent contender when it really matters. Not a surprise in this post-Task Force era, when continuity is the key buzzword for the American leadership. Zach is clearly being groomed to be a future captain, so he will be a fixture in the team room at every Cup until he gets his turn. And Tiger has always respected Johnson as a guy who maximized the talent he was given. When you beat Woods head-to-head in his prime at Augusta – as Zach did in 2007 – that lingers. I’ll take the field, thanks. That was always going to be an interesting week, given his tortured history with Noo Yawkers. The fans at the Players can be brutal, and that’s coming fast, while the greens in Saudi Arabia are still healing. If Sergio can weather that week, he should be fine for the rest of the year. But if he starts barking back, it’s going to be a long, challenging season for him. 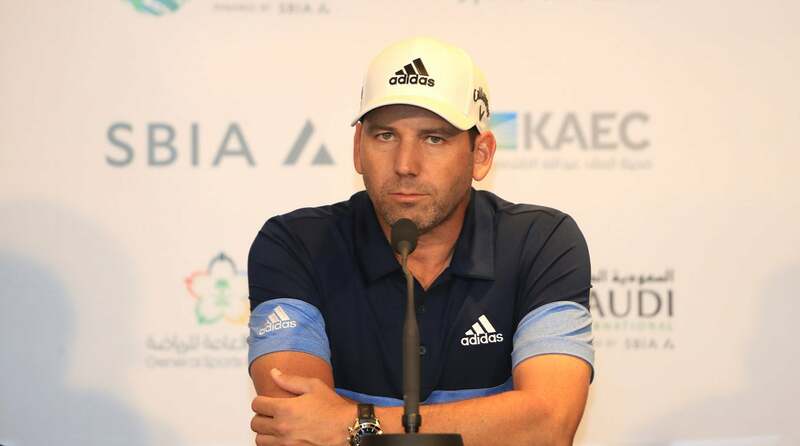 Sergio Garcia during a press conference at the 2019 Saudi International. The players long ago decided whether or not they like Sergio, so I don’t think this latest episode will change too many hearts and minds, just as his recent apology on Instagram won’t sway too much public sentiment. He is who he is. The problem with a suspension is that there is not one global authority to enforce it. Keith Pelley’s reaction was so neutered because if he suspended Sergio for three or six months – which would definitely have been appropriate – one of his most important stars would just set up shop on the PGA Tour. Meanwhile, Jay Monahan has no interest in sanctioning a player who misbehaved on a rival tour half a world away. So, Sergio skates. I’ve asked Phil about this and he has zero interest in the Senior tour. He’s been beating those guys his whole life, so what’s the fun in doing it again? He’s an adrenaline junkie and loves the crowds and competition on the PGA Tour. Maybe when he gets to his mid-50s and starts losing speed he’ll reconsider but 16 months from now, when Phil turns 50, I wouldn’t expect any changes to his schedule. There is sooo much golf to be played between now and then, I don’t think we can anoint him as the prohibitive favorite just yet, but certainly Mickelson will be on the short list come June. But a firm, fiery Pebble will be a completely different course then. Mickelson prevailed at the Clambake in part because of his hyper-aggressive play during the final round. That 3-wood he smashed off the 4th tee to set up a crucial birdie becomes a too high-risk shot when the fairways are firm and fast. His hooked drive on 10 would’ve bounded onto the beach rather than safely plug on the edge of the fairway. The flipside is that Pebble will play so short in June the key will not be tee shots but rather the approaches into those tiny greens, and Phil’s iron game remains preeminent. It’s certainly going to be fascinating to see how he navigates his way around a course that offers the best, and perhaps final, chance for him to break his Open curse. 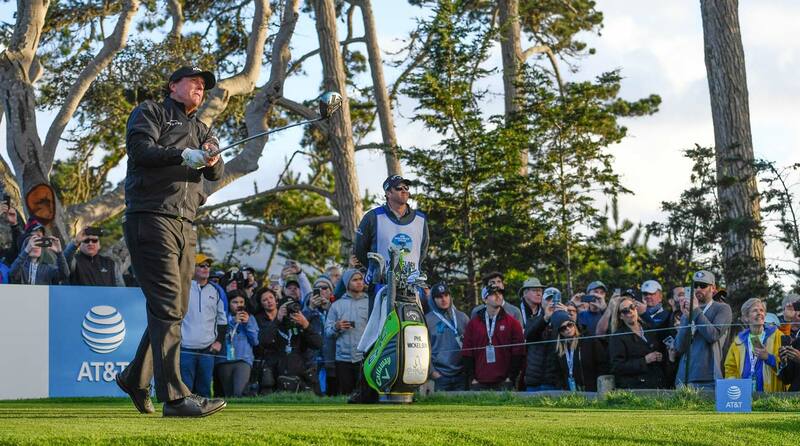 Phil Mickelson won the 2019 AT&T Pebble Beach Pro-Am, but can he win the U.S. Open at Pebble in June? Of course he is! In less than a calendar year he has won two marquee events. You think there are a dozen Americans who are better than him? Also, you just know that Cap. Woods is dying to boss him around. What does it take to get into the Pebble Beach Pro-Am? Well, I can’t really say, since during my misspent youth I only sneaked onto 16 when it was late at night under a full moon and the course was empty. One on hand, this is utterly nonsensical – how could you have the 8th hole in land-locked Iowa? But I understand the point you’re trying to make. There are a ton of dogleg-left cape holes that evoke Pebble’s 18, but if you’re playing around a marsh, or a man-made lake, it just ain’t the same. During tournament week I did have discussion with a course wonk in which we agreed there should be a separate ranking for seaside courses because the ocean adds so much to the experience, aesthetically and for heroic shot values. But the fact is the Pacific is an inextricable part of the Pebble Beach experience. Until the course is swallowed up by the rising seas we sure as heck ain’t playing the Clambake in Iowa. What’s the worst weather you’ve played in? One time at Turnberry it was so windy it was literally hard to walk. I’m not great at estimating mph but it had to have been blowing at least 60. I remember hitting a 7-iron that went almost 300 yards! But that only lasted for about 5 holes. By far the worst weather I’ve played in domestically came last Friday, when I took the No Laying Up homeys out to MPCC. It was freezing cold and spitting rain. I wore a compression shirt, a polo, a wool sweater, a cashmere sweater, a Gore-Tex rain jacket, long Johns, cordoruy pants, rain pants, a wool beanie, a water-proof bucket hat and gloves on each hand. And we had an f’ing blast. It makes so much sense it will never happen. Why doesn’t pgatour.com show the money won by the players at the conclusion of the tournaments? Each week it’s a chore to find a website that does. It’s not because the suits in Ponte Vedra Beach are suddenly sheepish about the bloated paydays. The Tour has worked hard to make FedEx Cup points the only unit of measurement that matters. Exemptions, Tour cards, etc. are now measured in points, not money, so they don’t want any of us to even think of the almighty dollar. The only options were Heineken and Amstel Light. I opted for the latter. It tasted like middle-class tears.